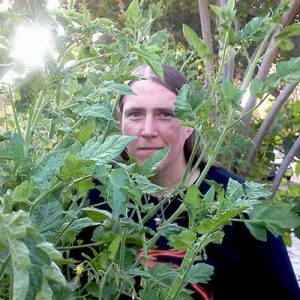 We’ve discussed the wandering jew plant in the past quite heavily. But today, we’re zeroing in on a particular subspecies. 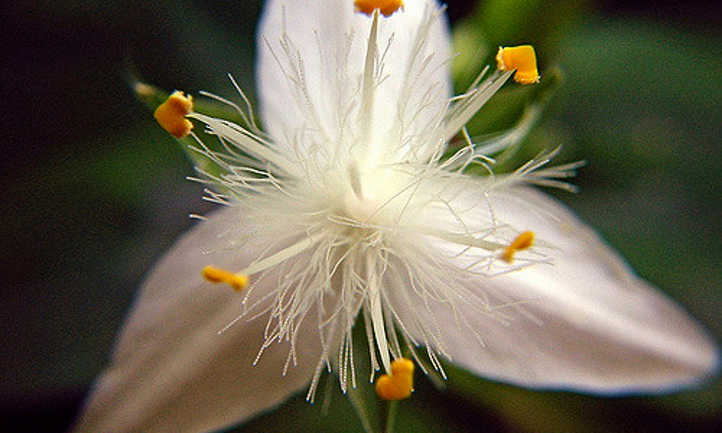 The white flowered wandering jew Tradescantia fluminensis, with its wide array of names, is a common houseplant. While it’s avoided in some parts of the world for many reasons, it’s become common in warmer climates. 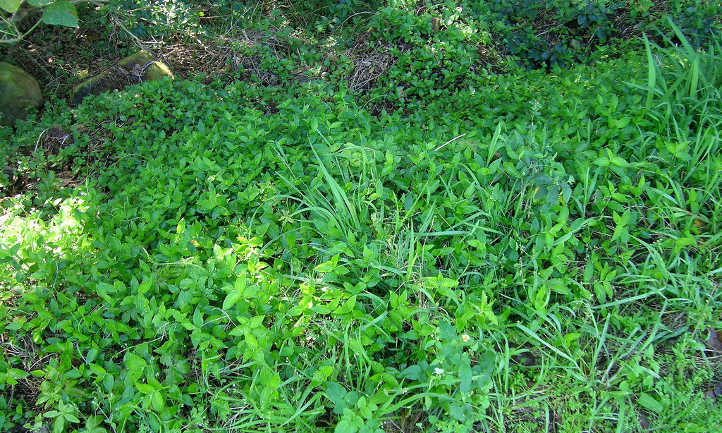 Popularized as a houseplant, it can also be a very dense ground cover. So let’s delve into the world of this wandering gypsy! While it may not be as popular as the purple queen wandering jew, it pairs very nicely with its relative. 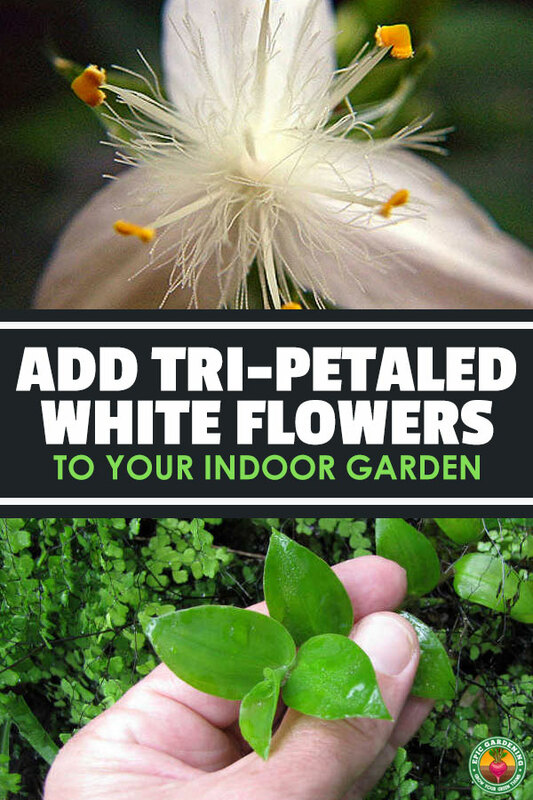 This white-flowered wandering jew species is a popular indoor plant. Originating in southeastern Brazil, it’s an evergreen perennial which is easy to grow. 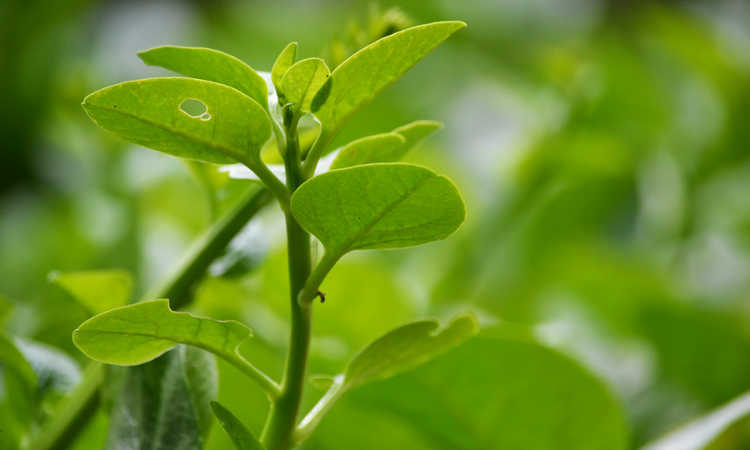 Its leaves are glossy and oval and are deep green in color. They attach to fleshy stems which can easily put down roots from the stem nodes. Triangular, three-petaled white flowers emerge from the foliage. These do not set seed, but they may appear singly or in clusters. There are alternate cultivars than the base plant. One popular variety is Tradescantia fluminensis var. variegata. This cultivar has cream or yellow streaks on its leaves. Freely flowering in zones 9-12, it may slow down in cooler temperatures. Spiderwort likes moderate to warm climates as a general rule. It prefers full sun to partial shade as far as lighting is concerned, and a reasonable amount of water. 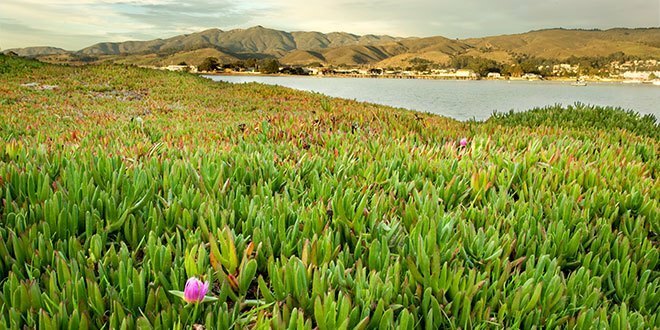 It can be somewhat drought-tolerant in shadier conditions. Much like other wandering jew species, there’s a plethora of names for this plant. The wandering jew scientific name for this species is tradescantia fluminensis. Its alternate name is tradescantia albiflora, although that name has fallen out of use. Other names for this species include white spider weed, small-leaf spiderwort, or river spiderwort. It’s also known as wandering gypsy plant, wandering trad, wandering willie, or inch plant. Inch plant may be a particularly apt name. 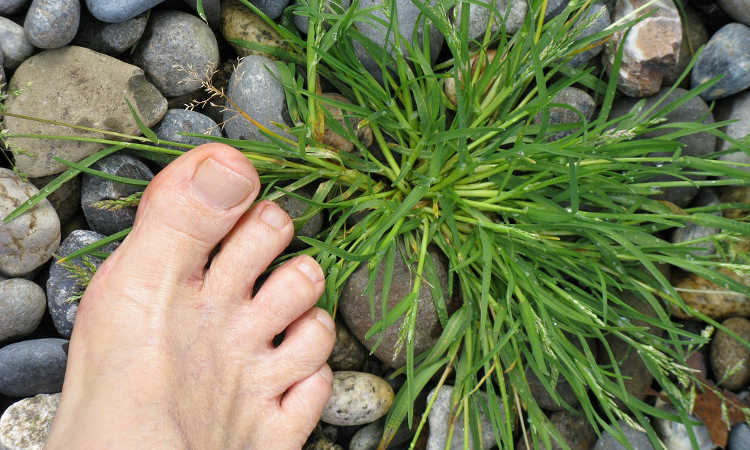 This low-lying ground cover will creep out to coat the landscape if not maintained. But wait, there’s more names! 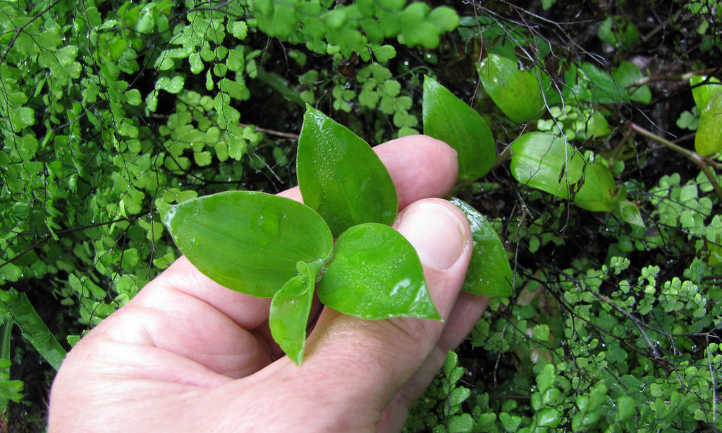 Wandering creeper is a common name, as is creeping Christian. Like the inch plant name, these tend to be apt, as it does creep along the ground and spread readily. Many regions consider spiderwort to be a noxious weed or an invasive. The worst impact in the United States is found in the southeast, where temperatures are warm. Other areas where it’s severe include Australia and New Zealand. South Africa also considers it a serious invasive. There, it’s classified as a category 1b invasive. They do not allow planting, propagation, nor sale of the plant or its seeds or cuttings there. One of the reasons for its invasive nature is the ease with which it roots. Any small segment of the stem which includes a node can put down roots from that node. That means that even if it’s cut, a small segment left behind can root and grow again. It’s quite regenerative, making elimination a challenge. As it spreads, it forms a very dense, thick ground cover. This covering of stems and leaves can choke out other plants easily. If left unchecked, it can start to cause hazards to trees or other large plants. It will dominate its environment if given half a chance. Don’t plant this wandering jew outdoors if you’re in zones 9-12. Keep it as a houseplant, and don’t allow it to overgrow its boundaries. Cooler climate dwellers will have less of a problem with keeping it in check, but should probably keep it inside, too. Before you buy this indoor plant, remember that tradescantia is poisonous to cats. It may not be fatal, but it’ll be quite unpleasant. Keep it out of reach of your feline friends! 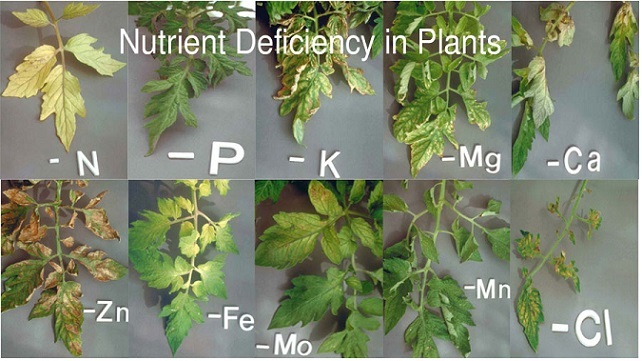 Ideally, choose bright and indirect sunlight for your plant. It can take full sun, but the leaves may fade to a lighter green color. If you’re growing a variegata type, the streaking on the leaves may look washed out in full sun conditions. In partial shade, spider-wort is often a bit more drought-tolerant. But it does prefer to have even and consistent moisture in its soil. Indoor gardeners should strive for lightly-moist soil at all times. While all wandering jew species will root from cuttings, this one can be a bit insidious. If a stem joint is resting on the soil of another plant’s pot, it can take root there and spread. It’s best to keep this separate from other plants. Pruning is easy. With clean gardening shears, clip off excess length beyond a stem joint or node. The plant will develop new growth from its node. It can get leggy if it’s not maintained. You may not even need shears. For this species, the stem joints are surprisingly weak and prone to breaking. If you grasp the stem on either side of the joint and bend it, your excess growth may snap off at the joint. Spider mites are your most likely pest. To keep these at bay, spritz all leaf and stem surfaces with neem oil. Be careful with this variety if it’s in hanging pots. Those fragile stems can break in windy or rough conditions. If your pot bumps against anything regularly, move it to somewhere where the stems can hang unimpeded to prevent unintentional spread. As long as you keep your river spiderwort in check, the flowers and foliage are worth it. Those beautiful, three-petaled flowers are really showy! It pairs well with other wandering jew species and is definitely a fun houseplant to grow.